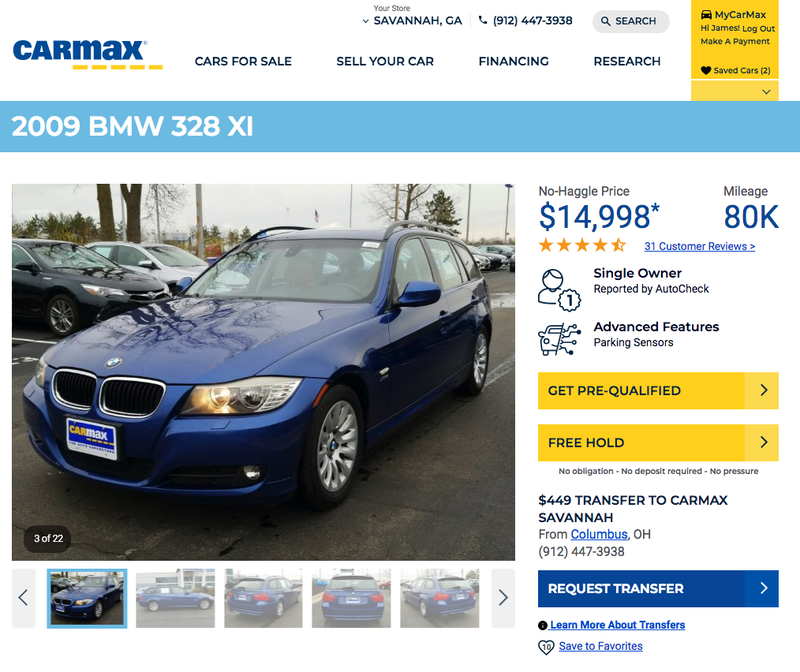 Carmax has done it again! It’s even a wagon. For only 13k, which one of you needs a manual BMW wagon? Sadly, this one is AWD, but it still comes with the all important 3 pedals. I’m sure if I keep posting these wagons someone is going to buy one. Of course by someone I mean myself, after all I need to add an E91 and an E93 to the fleet.